Involving parents and the community is a key focus of current education policy, and with good reason. Pupils’ achievements have been shown to be greater where parents and the wider community are actively involved in school life. 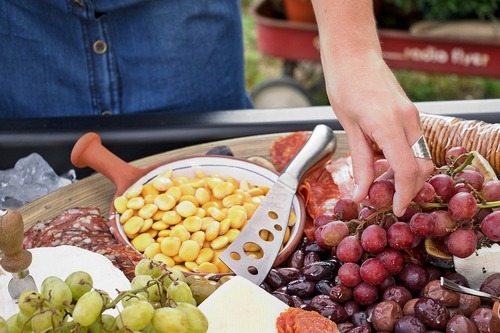 Food-related events can provide a brilliant focus for engaging a diverse community. This theme could be used to celebrate regional food from around your country or focus more tightly on local food traditions. It could be a stand-alone event or run alongside another school event such as an open day. encourage representatives from local food producers, growers and food businesses to serve tasters/samples of their products, recipes and ingredients. the cooking club could offer samples of dishes made using the school grown produce. the school catering team might showcase regional dishes they are serving at lunchtime. Samples could be offered and evaluation cards filled out to help identify the most popular dishes to go on the lunchtime menu. food Technology/Catering students could be set a piece of coursework to produce dishes that are typical for your country or region, especially using local foods/ ingredients. the school parents’ club could run a competition to find the best picnic lunch using local foods. This would help raise awareness of what constitutes a good packed lunch. local chefs could be invited to demonstrate how to use local and seasonal ingredients. This theme can be used to showcase cooking from around the world, using authentic ingredients that may be unfamiliar to some members of the community, along with locally produced and home-grown foods. 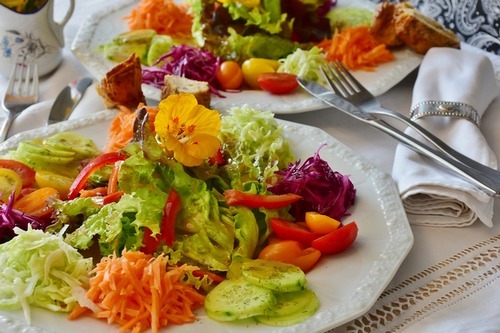 It could take the form of a sit‑down evening meal for fundraising purposes or a more casual tapas style tasting event or even a picnic in your school garden. involving a range of groups from the school community, all working together, e.g. students from a local secondary school, members of the Cooking Club, the school cook and staff, the school parents’ club, teachers and teaching assistants and local community members. displays of ingredients, artefacts and pictures could help to evoke the culture behind the recipes. consider showcasing a different culture with each course, e.g. Italian antipasto starters, an Indian main course and a dessert from Greece. The timing of this event could be at the end of the summer term or the beginning of the autumn term. It could be an afternoon or early evening school event, or form part of a bigger community event. 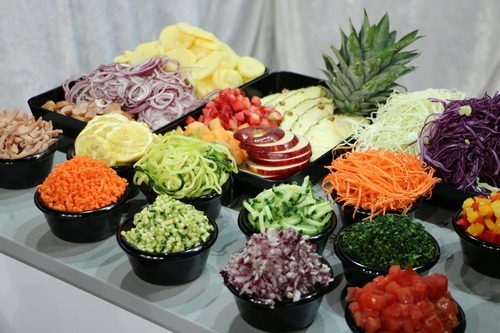 the best dish using a specified fruit or vegetable ingredient. developing the skills that the children have learned at school. community cooking clubs could sell dishes using produce from the school garden. a variety of awards could be offered, e.g. cooking the best recipe using home-grown produce. 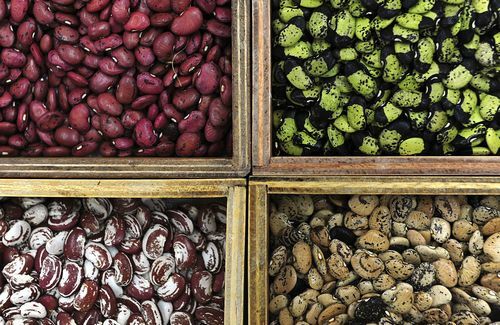 Seed swapping connects and sustains the local gardening network. It offers staff, pupils, parents and the local community a chance to learn about growing their own food and to try different varieties, thus keeping our heritage vegetables from extinction. It gives more experienced growers in the community a chance to share knowledge and seed that has adapted to local conditions. Flyers can be made to remind everyone to save their plants’ seed. Seed envelopes can be bought very cheaply from stationers or can be easily made in school, and seeds look good being dispensed from glass jars. Various stalls can be set up and manned by pupils/parents/teachers etc. a seed sowing demonstration by the pupils. Experiments are simple trials or observations designed to be carried out at home, in a school garden or on an allotment. They give you the chance to learn about, and experiment with, new (and old) ideas or techniques and to share the knowledge gained. The whole school community, including parents and the wider community, can be encouraged to participate in one of the Experiments. Participants can attend regular ‘get-togethers’ to exchange tips, ideas and information. The pupils can co-ordinate the distribution of information and feedback on the results. where appropriate, basic materials such as seed. Teacher will then compile and analyze the results, then report them in your school magazine or notice-board. Taking place in early spring weeks, Grandparent Gardening Week aims to help schools settings get support from the local community to kick start their gardens into action after the winter. Hosting gardening activities is a great way to reach out and engage grandparents, careers and local residents (including local allotment holders) in your school or nursery activities, and to get your garden in tip top condition along the way. 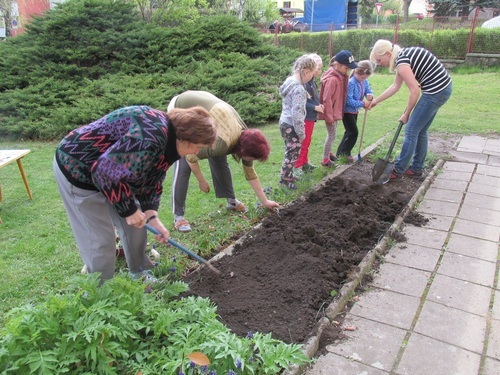 Identify a time during the week (even after school) to host your Grandparent Gardening Week activity. Find out what crops everyone would like to see grown, think about where you might plant them or how your cook could use them in their recipes, linking the crops with the kitchen and classroom learning. Share ideas and plans across your school or nursery to involve everyone in the fun! As spring returns Grandparent Gardening Week is the perfect time to kick start your school or nursery garden, and to engage grandparents, careers and the wider community (including local allotment holders) to provide support, advice and guidance on gardening. 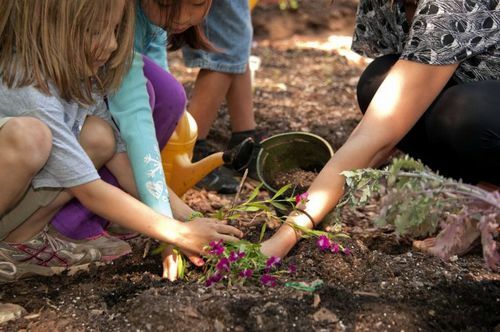 School gardens are not one-person projects. To truly thrive, the gardens need support from volunteers. It’s especially exciting to have parents volunteer because it gives the garden staying power—it will live on even after the school has graduated. It’s a win-win: the garden gets extra hands and parents get to go home with fresh produce to eat at home! The school could start gardening and cooking clubs, develop links with a local organic farm and set up an annual ‘village show’ where pupils can display what they have been growing. Stall on Friday afternoons where vegetable plants grown in the school garden are sold to children and their families to grow on at home. School canteen cooks or pupils themselves can prepare homemade soup using vegetables and herbs from the school garden or bake bread and cake and offer them to parents and local community. Funds raised are ploughed back into the gardening club. Throughout the year, members of the local allotment society visit the school, help in the garden and give advice.